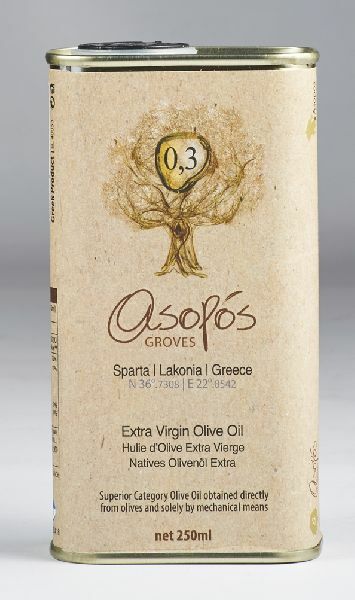 The extra virgin olive oil of the Asopos Groves is a product which is produced from the “KORONEIKI” & “ATHINOLIA” variety. After a “rest” period of at least two months in stainless steel tanks the two varieties are mixed to give an unbelievably delicate flavor. Having always a low acidity of under <0.4%, is ranked among the best EVOO. Size 100 ml - 250ml - 500ml - 750ml - 1lt - 3lt - 5lt.